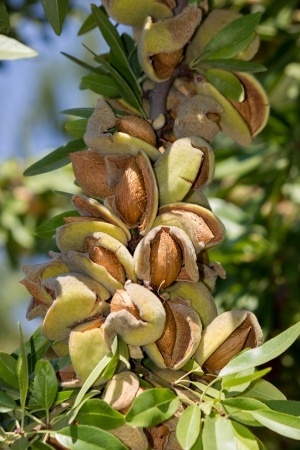 In today’s Almond Matters, brought to you by Valent, preventing hull rot in almond orchards can be the most effective means of keeping trees safe from damage that is caused by infection. Hull rot comes from either Rhizopus or Monilinia infecting hulls and releasing pathogens into the fruiting wood, killing the wood and causing crop loss. Hull split is the most vulnerable time for trees to become infected. 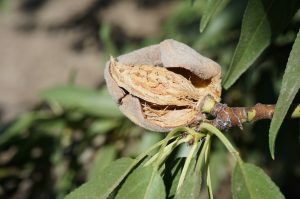 “Once you get to the point where you’ve got hull split, where the almond starts to open up a little bit…you no longer have the outside of the almond protecting and so if you get spores it can infect and cause hull rot,” said Burkdoll noted. Burkdoll indicated that the best option for preventing hull rot damage is to be out in front of the problem before it has a chance to take hold. “Starting on the front side, as you’re coming into the hull split timing…typically miticides go out at that point. A miticide with a preventative fungicide is good insurance to keep hull rot at bay,” Burkdoll noted. If an infection does occur, it can cause a host of issues for growers including affecting nut quality and causing shoot dieback. “Once it gets in and infects its hard to put it out, it’s hard to stop it because it spreads around that soft tissue on the inside of the hull which is like candy for Rhizopus and Monilinia,” said Burkdoll.